The Good: From the guns, to the high speed chases, to the hand-to-hand combat, you'll get more of your fill of non-stop action from beginning to end! When it comes to the story line, this movie strays away from your tradition comic book formula. It lends itself more so to being a conspiracy/spy type of movie so it's filled with lies, deceit, twists and turns. The acting was actually pretty impressive too. Chris Evans IS Captain America. All Scarlett Johansson had to do was walk and talk and she owned her role as Black Widow. (And more close ups would be appreciated! lol) For as powerful as Captain America is, the The Winter Soldier (played by Sebastian Stan) really gives the Cap a run for his money as a villain. Surprisingly enough, Anthony Mackie did a fine job as a supporting role as the Falcon. 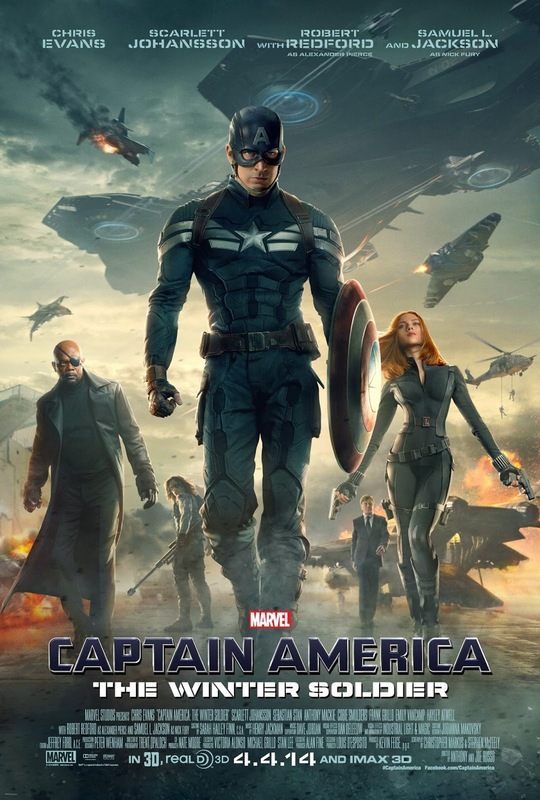 As with most Marvel movies, despite the high octane suspenseful action, there still managed to be a satisfying amount of comedic relief sprinkled throughout the movie. For the comic fans, or just fans of the Avengers movie franchise, you'll be happy to know that there are PLENTY of name drops and clues pointing towards the future of the Marvel Avengers franchise. So pay attention! The Reason: This movie, I believe, has finally broken the mold and raised the bar for solo, comic character based movies. It completely stands on its own. In other words, if there were no Avengers movies, this movie would still be great! Please do not waste your money on IMAX and/or 3D. It's not worth it. It only makes the punches sound harder, which is nice but not worth the extra $$$$. And worry not, there are TWO bonus scenes, so don't be that person who walks out. Is this a must see? To that I would say, "Why are you still reading this and not in the theaters right now? Go!" You might as well get your Blu-ray pre-orders ready while you're at it.